Michael van der Mark enjoyed a solid start to Round 10 of the 2018 MOTUL FIM Superbike World Championship at the Autodromo Internacional do Algarve in Portimão today. 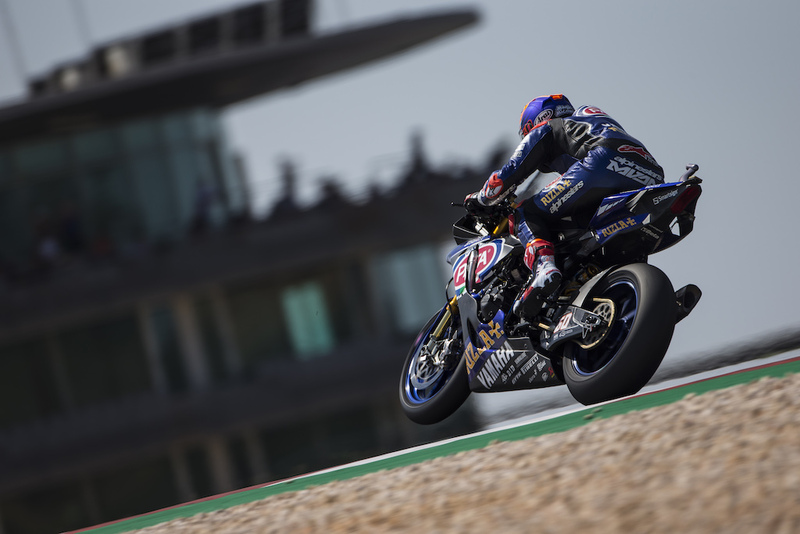 The Pata Yamaha Official WorldSBK Team rider proved fast and consistent in all three of the practice sessions today, ending in eighth position overall despite a minor crash at turn five late in the afternoon. Already a technical and demanding track, mastering the 4.6km Portimão circuit was complicated further today by high temperatues, with conditions changing significantly for each of the three 40-minute free practice sessions. Van der Mark adapted quickly to the changing conditions, impressing with his consistent pace throughout free practice. If the 25-year-old Dutch rider can increase his outright pace to secure a starting position on the front two rows of the grid then he is confident that this consistency will pay dividends in tomorrow’s 20-lap WorldSBK race, which will be held during the hottest part of the day. Van der Mark will be back on track for the fourth and final free practice session at 08.45 local time tomorrow morning, with Superpole 2 scheduled to get underway in much warmer conditions at 10.55.